Vild-Hussen's project was sponsored by the farmers upstream, at Stugun and Ragunda; they couldn't float their timber over the falls without it being smashed to pieces. And of course they had no salmon. You can imagine that Vild-Hussen's controversial project was a lot less popular among the men of Fors. Even if it had gone according to plan, the salmon would no longer mass below Storforsen. When Ragunda lake drained in a single night, it produced a bow-wave that swamped farmland and swept away livestock all the way down to the sea, forty miles away. Salmon were found in the tree-tops. Because of the run-off and because the river now had a new river-bed for part of its course, it took years for the muddy water to clear. During this time there were no fish. 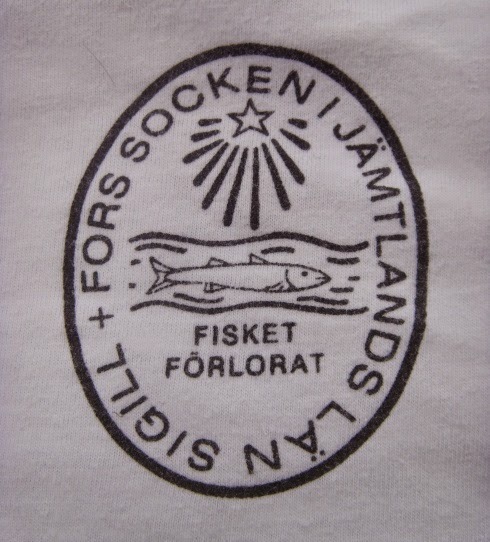 When the salmon came back they passed upstream of Fors, establishing a new ground below Hammarforsen (beside Hammarstrand). Of course you could still catch some salmon in Fors, or indeed anywhere downriver. My grandmother remembered how, while hay-making in the Indal farms, they all moaned about being fed salmon every night. 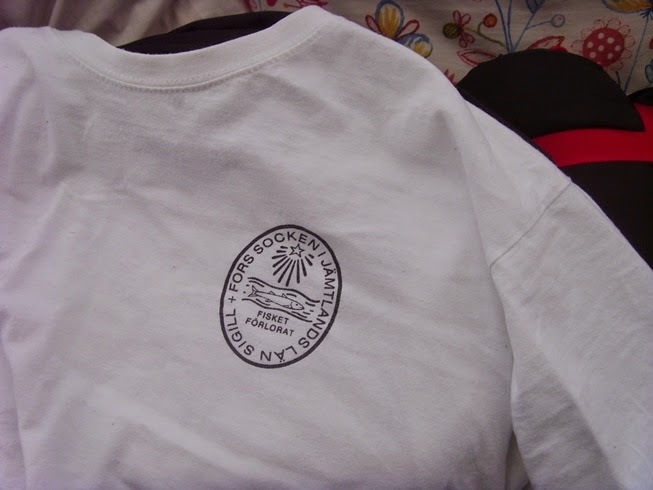 I bought this precious tee-shirt in the summer cafe behind Fors church. I went there with my sister in July 2013, the last time that I've been in that part of the world.